Happy Sunday to you all!! NancyD here with our challenge for the month of May. You know April showers bring May flowers and since it is finally May the challenge is 'Spring Flowers'. You may use any company's products as long as you complete a card, tag or other type of finished project and it must include background and foreground elements to the scene. We will not accept projects with just a character and a flower - it must be a scene! You may enter up to three times and you may enter as many challenges as you wish. Our sponsor this month is the lovely Zoe from Make it Crafty. I became interested in Zoe's digi images when I was looking for indoor scenes. She has such a nice variety of indoor and outdoor images. 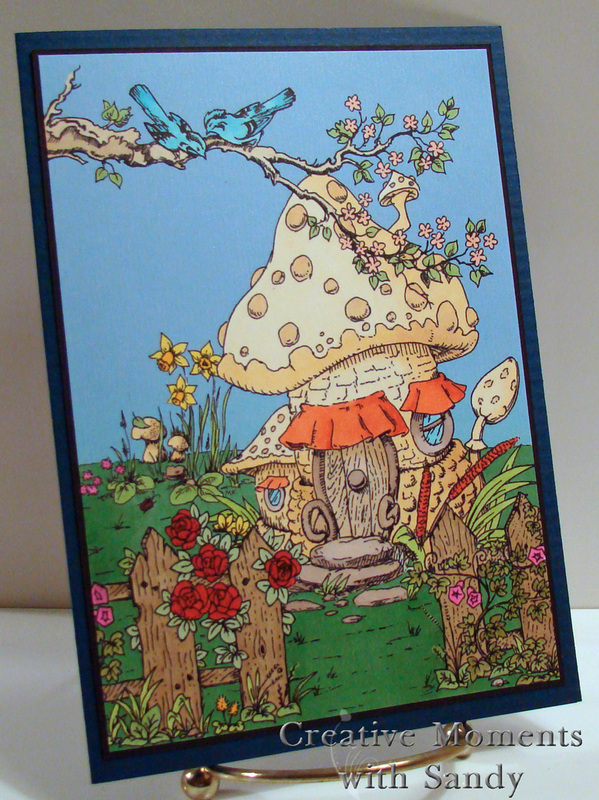 I especially like her characters, their mushroom houses and the Christmas scenes. Be sure to check out her new web site for all the very cute images and other products that she has for sale. When you order this month, be sure to mention that you heard about Make it Crafty from Craft a Scene. 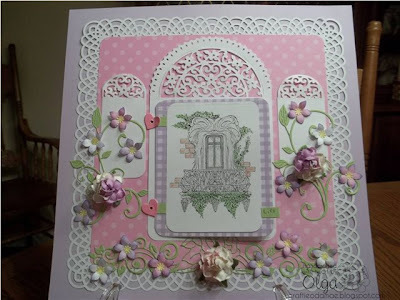 Sandy used Make it Crafty images for her scene. Olga made a beautiful scrapbook page. 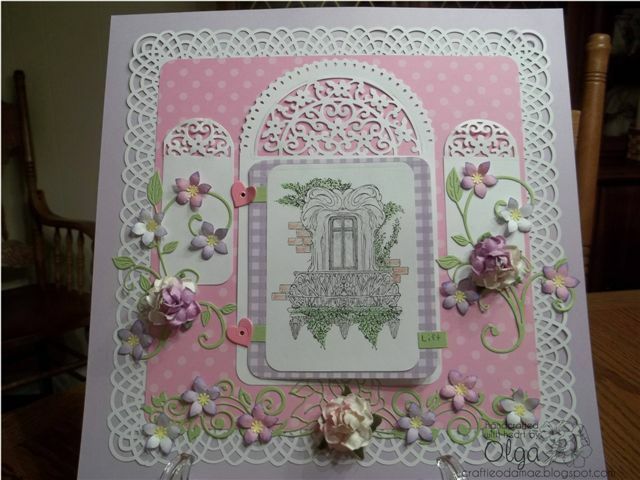 Anja made a lovely Spring scene with Stampscapes and FlowerSoft. Shaz made a wonderful Spring window scene. Please stop by the blogs of our wonderful design team and let them know how much you appreciate their work. You may enter our challenge even if you do not have a blog. 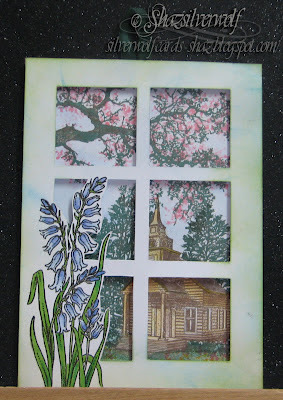 You can link your finished project from Split Coast Stampers, Flickr or any other web based photo upload source. You may also email me a jpg picture of your project and I will post it for you. Thanks for stopping by today. Next Sunday I will be back with more inspiration. Fabulous work, ladies. A lovely collection of floral samples! Gorgeous DT cards and great inspiration. Off to have a rummage and see what I can come up with. Gorgeous samples from the DT! Thanks for the fun challenge! I enjoyed playing along! Gorgeous samples from the DT! Beautiful DT samples - I hope I have a chance to play along. I love scenic stamping! 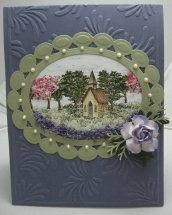 Just found this challenge blog and had to make sure a blog hop card matched the challenge requirements. Hopefully I can make another one soon. beautiful examples have you all made. Beautiful work for the DT! And a great idea for a challenge! I am glad I had time to do a project before the deadline, May has been a very hectic month for me. Thank you for all the inspiration! Thanks for the opportunity to join in this fun challenge. I enjoyed looking at all the samples! What fun...and thanks for the comments on my blog!